Happy Friday y'all! Cheers to the end of another week. Our big plans for the weekend include eagerly anticipating the season finale of Game of Thrones. We're geeks like that. It feels like the second coming of summer around here - it has been so so hot. Like 100 degrees on multiple days hot. All this hot weather has me dreaming of cooler fall temps. And that has me planning out my fall wardrobe. This week I'm going to highlight some great transition pieces that will take you from summer into fall. This smocked chambray top from LOFT. I love it. Full stop. I'll wear it now with shorts or crops or white jeans. It'll look cute with cognac flat sandals. As we get into cooler weather I'll pair it with either grey or white skinny jeans and boots. And a great necklace. This sleeveless mock neck top will get a lot of wear - I'll wear it to work with dress pants and a skirt now and then throw a jacket or cardigan on over it when the cooler weather hits. 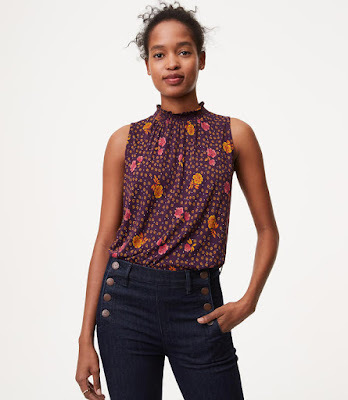 It will also look very cute with my denim skirt, shorts, or any of my jeans. Easy to wear now and later. 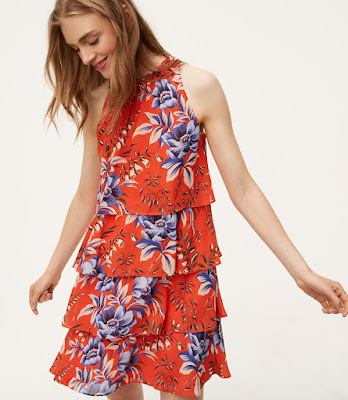 Oh this dress is so darling. 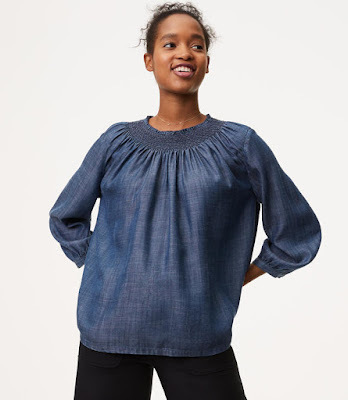 Perfect for the 100 degree days we are having right now, but when the temps dip a bit, I will be throwing a denim jacket on over it. By the way, a denim jacket is a GREAT transitional piece. It will easily get you from summer into fall and is the perfect layering piece. 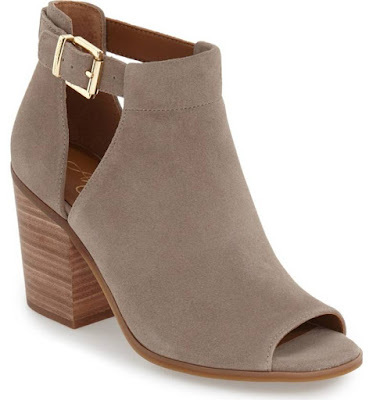 A great pair of peep-toe booties like these will get you through fall and if you live in the South, probably through winter too. I love the block heel on these. I was slow to the bootie bandwagon, but now I am on board. I wear them with shorts, jeans, and *gasp* dresses (I never ever thought I would). Another great piece to transition from summer to fall is a scarf. 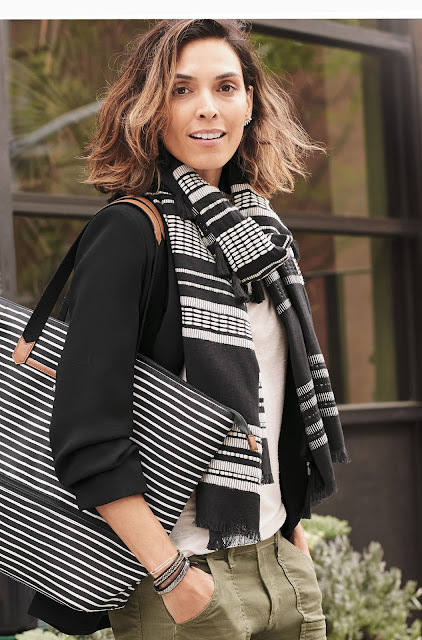 The black and white of the Ines scarf will pair with all of your summer looks. Tee shirts and shorts, tops and jeans, and it would great with the booties above! Also pictured, the Black and Cream Stripe Day Tripper Bag. That's how I plan to transition from summer to fall - or at least dream about it for now...there seems to be no end in sight for this heat. Have a great weekend!